So last week my wife and I left the kids with the grandparents and headed for the hills in my '67 Skyhawk for my 40th birthday. 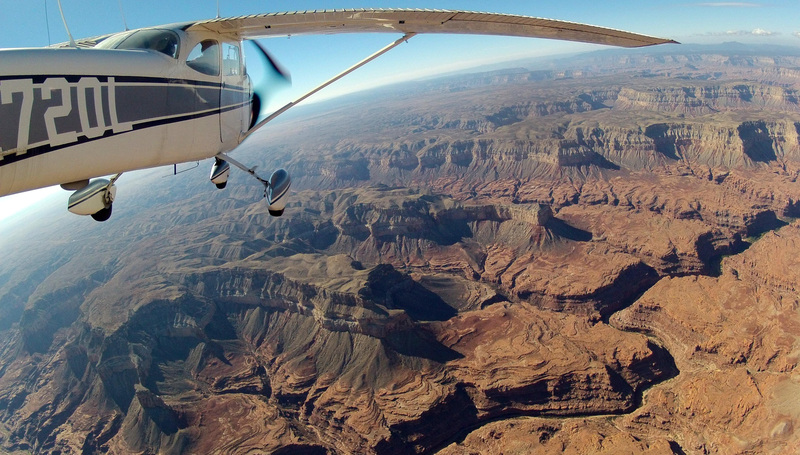 Our plan was to fly from Palo Alto to the Grand Canyon by way of Las Vegas. Departed as planned, but the haze in the south central valley was terrible. Bakersfield reported "Skies clear, visibility 2 1/2 miles" (That's not haze, it's fog!) So, I amended my destination and went over the hill to Mojave (KMHV) instead. While having lunch I double checked the rest of the route and decided since we were already in the Mohave desert to go ahead and continue via the Trona, CA corridor instead of going South to Palmdale. I've done this route a few times now. This was the first time into HND that LAS approach refused to clear me into the Class B when coming east through the Columbia Pass... which means I had to descend under the shelf, continue east until I was due S of HND and then descend to within about 1000' of those hills to fly towards HND. No big deal (it was a very clear day) just not what I was expecting. - Flawless. Got radar service from HND and LAS on the way out, and was handed to LA Center for the rest of the flight. I had planned the flight to go over the Hoover Dam and BLD VOR, but Vegas Approach wanted us further south than that for arriving traffic. No big deal. 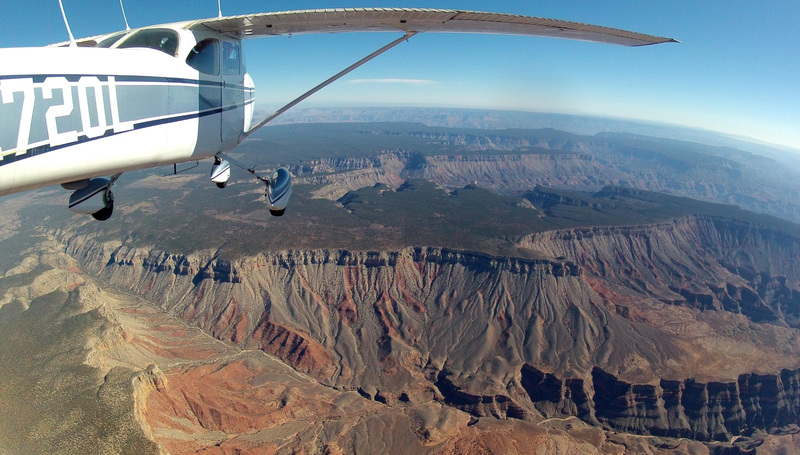 LA Center confirmed that I was familiar with the Grand Canyon special VFR rules (I was) and had no further questions after that. Winds were 20G30 on the ground, so it's probably good that the special VFR rules kept us 3K+ above it anyway. At 11,500 it was smooth. GCN: You're advised to remain with your aircraft upon landing until the FBO comes to get you, since there's a TSA area between the ramp and the FBO. Yay for security theater. 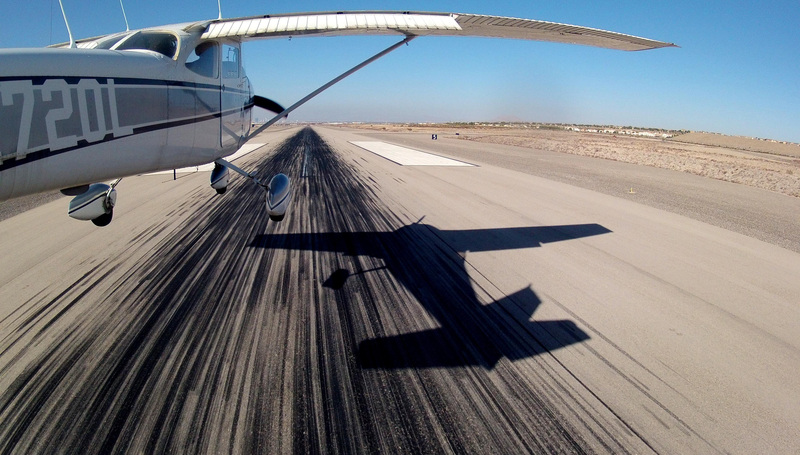 (Taxiing my aircraft around is safe, but walking isn't!) Other than that oddity, and the $7.20/gal avgas, it's just like any other GA airport. 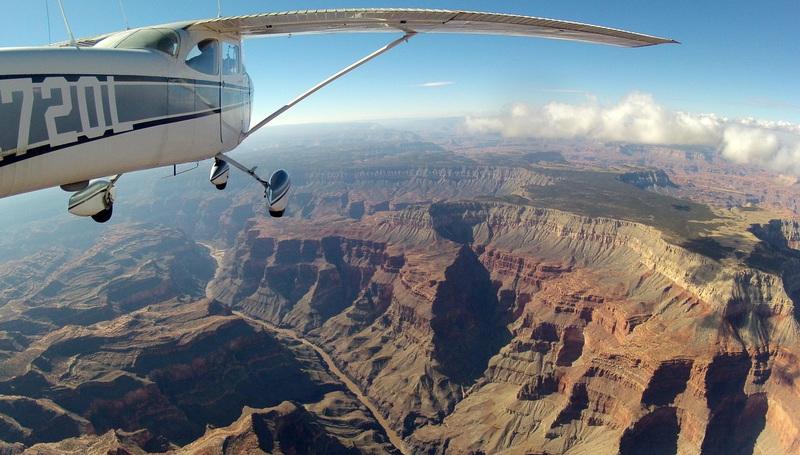 Scenic flight over the canyon tour corridors before departing west. We donned our O₂ cannulas again and took off into the same 20+ knot winds we landed in yesterday. 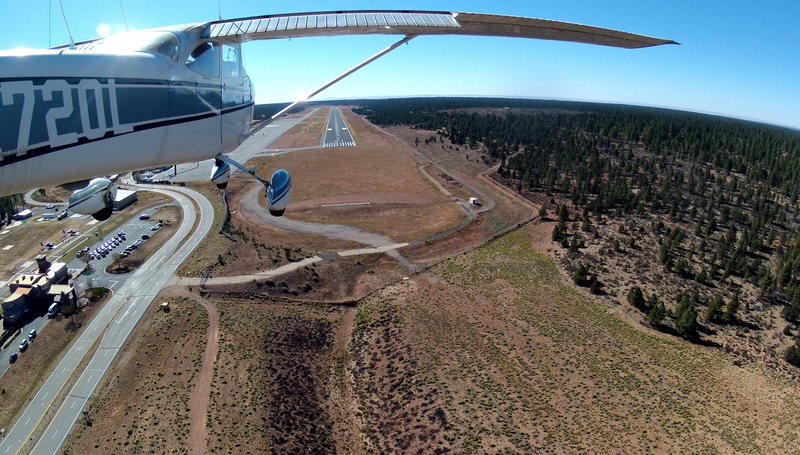 GCN tower was very friendly and continued to provide traffic alerts as we did circling climbs south of the Supai sector to get to the required 11,500 feet for flying the corridors to the North. It was turbulent near the ground but smoothed out nicely once we were over 2k AGL. Man, that is a big canyon! We continued north past the Dragon Corridor to the edge of Marble Canyon before turning back west and south. There was snow on the ground in the shadows north of the canyon. Monitoring the tour operator frequencies made us aware of the constant stream of helicopters criss-crossing the canyon beneath us. It's hard to imagine how they manage those beasts over those ridge lines at 8500 MSL in gusty 20-30kt winds, but they didn't seem fazed by it. We picked up LA Center again south of the Fossil Canyon Corridor and flew back to Henderson without issue. Thankfully, Kenneth Hetge in Tehachapi, CA was available to do a field repair. It turns out both mags were due for an overhaul. The coil on the left one had cracked and finally died. Aero Services in Van Nuys overhauled both, replaced the coils, and Ken reinstalled them on the aircraft. Two days and two AMUs later I returned to Mojave with the rental car to retrieve my aircraft without further incident.